On behalf of the Foundation for Wallingford-Swarthmore Schools, we would like to thank all of the donors and volunteers who through their energy, donations and enthusiasm made Arts4Smarts very successful. The money that we raised will help us to support teachers in funding their innovative and exciting programs at all of the schools in the Wallingford-Swarthmore School District! Arts4Smarts is just one way in which we are working to raise additional funds to support these programs. 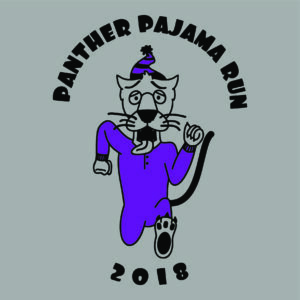 We also had the Panther Pajama Run and Pancake Breakfast in November and have applied for various grants available to 501(c)(3) organizations. With the increase in budget cuts for the 2012-2013 school year, school districts are facing less state funds and local tax revenues. The cut in funding for our school district means less money available to spend on our children and reduced learning opportunities. In response to these cuts, the Foundation was formed to obtain supplemental funding to support the innovative and exciting programs that our teachers would like to bring to our children. We appreciate the hard work of the Signature Event Committee, Foundation Board and volunteers and the generous donations of great silent and live auction items from our teachers, administrators and community. We look forward to supporting great programs in the 2012-2013 year. If you are interested in helping the Foundation, please visit our website – http://supportwssd.org or contact us – info@supportwssd.org.